No. 85-88, St. Kim Il Sung (289), Sangkat Boeng Kak II, Khan Toul Kork, Phnom Penh. • Lead the development and implementation of an internal risk based audit strategy and annual plan. • Plan and conduct audits to assess controls, operational and technical efficiencies and compliance with selected policies, procedures and regulations. • Develop risk management framework and monitor the risk maturity and ensure this is reflected in the strategy. • Provide an objective and evidence based annual opinion on the adequacy and effectiveness of all aspects Ly Hour Pay Pro Plc’s governance, risk management and internal control to facilitate the drafting the annual governance report. • Promote the highest standards of ethics and standards across the organization based on the principles of integrity, objectivity, competence and confidentiality. • Keep abreast of legislative issues, new audit regulations/trends and appropriate audit direction/methodology. Discuss updates of new regulations with CEO and relevant departments/directors. • Conduct periodic training workshops to promote awareness of internal controls and discuss changes in policies that will impact the organization. • Prepare and present accurate internal audit reports for consideration of the audit committee and the board. • Provide advice on proposed developments such as major new systems and proposed initiatives to help ensure risks are properly identified and evaluated and appropriate controls built in. • Provide leadership to the department staff and Supervise and manage their performance and development in line with the Companies’ goals, objectives, policies and regulations. • Willingness to travel to support business operations at provinces. 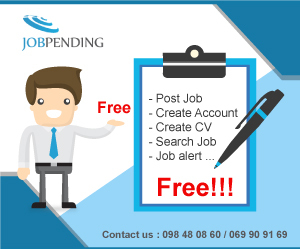 All users who looking for job now. Carrot Recruitment and Training Co., Ltd.
103 New Production Co., Ltd.